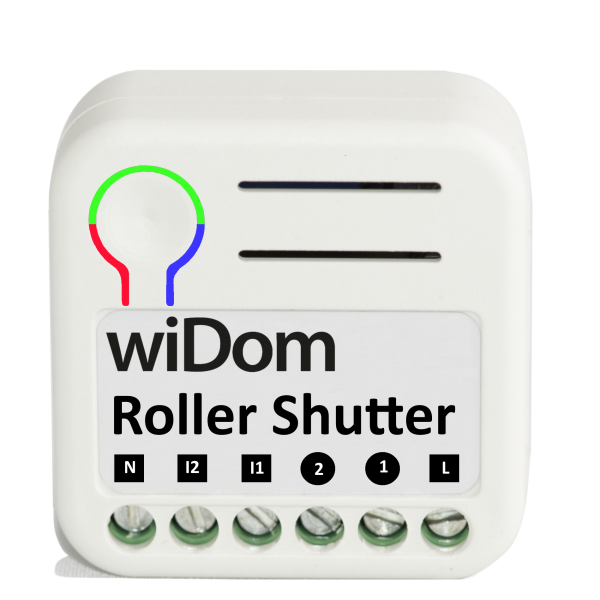 Product information "WiDom Roller Shutter V2"
The WiDom Roller Shutter V2 is a small and compact device which can control your roller shutters, blinds, curtains, etc. Thanks to its sophisticated design the modul fits into a junction box and makes your life more comfortable without attracting attention. Equipped with contact protection technology (zero crossing) which reduces the electrical stress on the relay contacts and ensure a longer life. The Roller Shutter V2 moves precisely to the position of your shutters or blinds precisely where you want them. It detects this position without using external sensors that you exactly know the position of your roller shutters and blinds. It can accurately control the opening and closing of blinds, curtains, shutters, venetian blinds via a computer, smartphones or tablet using the Z-Wave technology. The switch is no longer directly connected to the load but acts as input device for the WIDOM insert that is controlling the load. The switch only sends control signals to the insert which controls the load then again. Related links to "WiDom Roller Shutter V2"